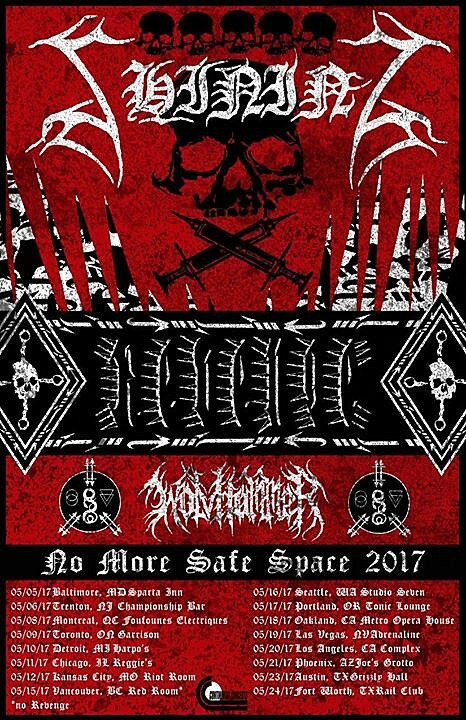 Swedish depressive and progressive black metal outfit Shining, emboldened by last year’s US tour supporting Belphegor, are returning to the states support for Canadian war metal outfit Revenge. Direct support will come from Wolvhammer. In a move that will ruffle no one’s feathers at all, they’re calling it the ‘No More Safe Space’ tour. Interpret that however you like. For some context, read our exclusive interview with Shining main man Niklas Kvarforth from their last US tour here.